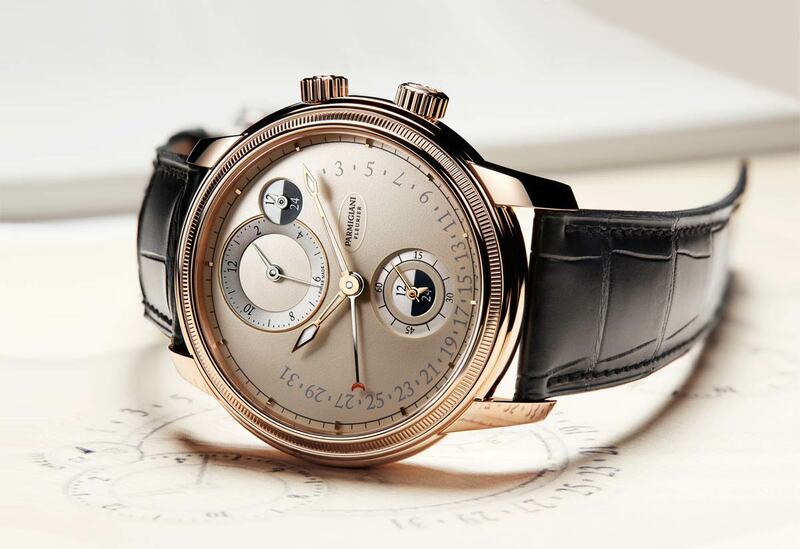 Featuring two time zones, the new Toric Hémisphères Rétrograde presented by Parmigiani Fleurier allows any two locations to be paired, and correct to the nearest minute. It even allows those locations with a half-hour or quarter-hour difference to be paired with full hour times set from the Greenwich meridian. 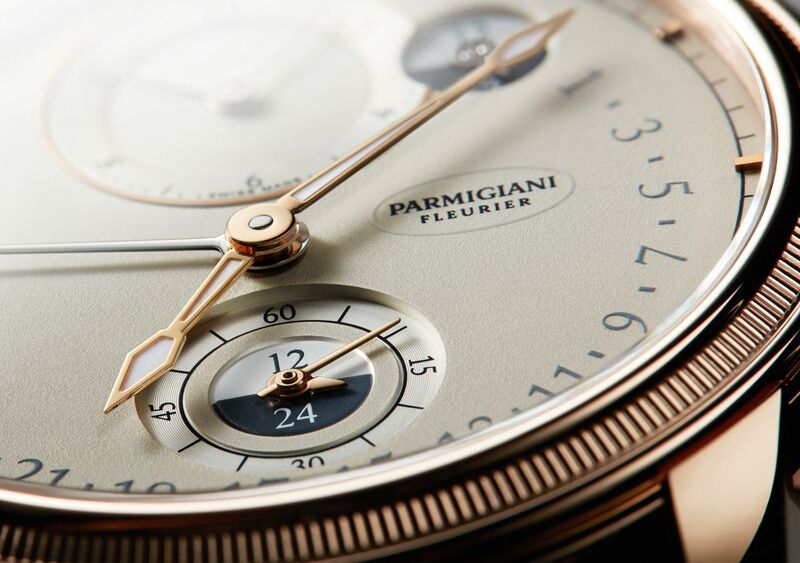 The 42 mm red gold case is characterized by a knurled bezel, the signature feature of the Toric collection, the first designed by Michel Parmigiani in 1996. 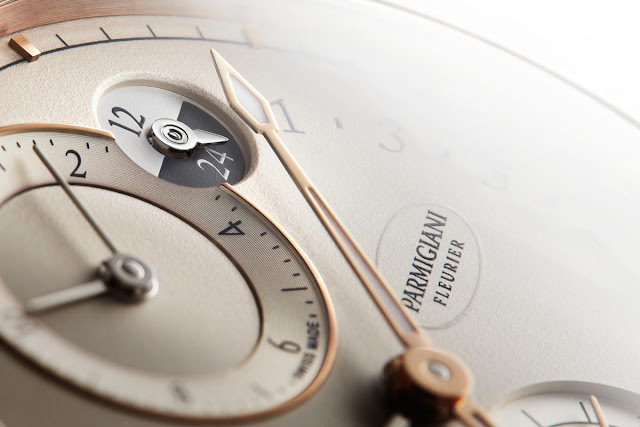 The key functions stand out against the grained white dial for excellent legibility. The javelin-shaped hands of the main time zone, plated in 4N gold, are coated with Super-LumiNova to make them luminous and more prominent. Meanwhile, the hands of the second time zone are rhodium-plated to present a more discreet shade. 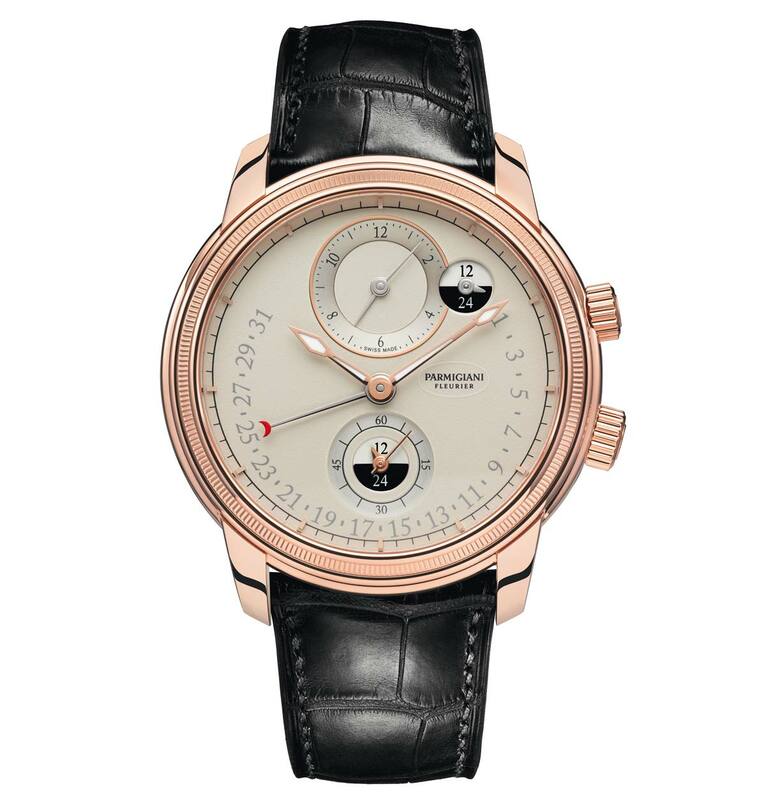 The hand ending in a red crescent moon indicates the date which is easy to read thank to large and clear numerals. The self-winding Calibre PF317 governs the second time zone thanks to a module which is indexed to the main movement. By pulling out the small crown at 2 o'clock, the module is disengaged from the movement, meaning that it can be adjusted independently of the second time zone, to the nearest minute. 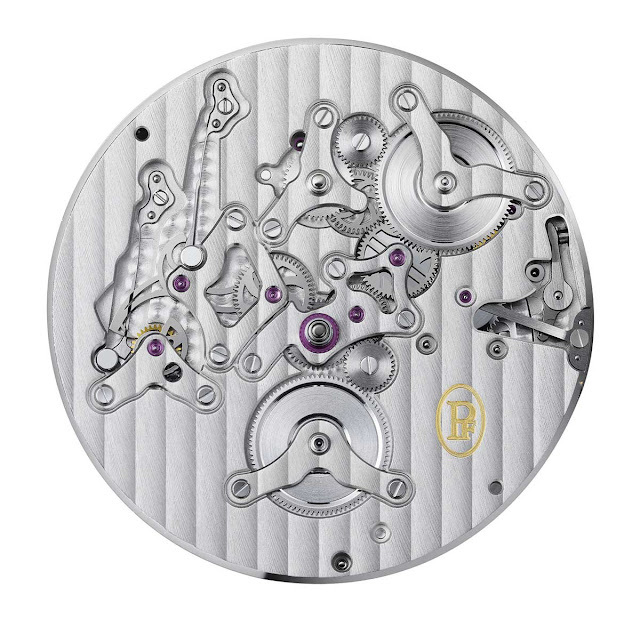 When the crown is pressed back in, the movement and the module re-engage and the second time zone is re-indexed to the first so that they operate simultaneously with the desired interval. The main crown at 4 o'clock is used to wind the movement and set the time of the two paired time zones, such as the date. Each of the time zones is associated with a window, which provides the day/night indication so that the time of day can be read in an instant for each time zone. This 4 Hz (28,800 vph) self-winding movement has a double series-mounted barrel for improved isochronism and rate regularity, with a power reserve of 50 hours. 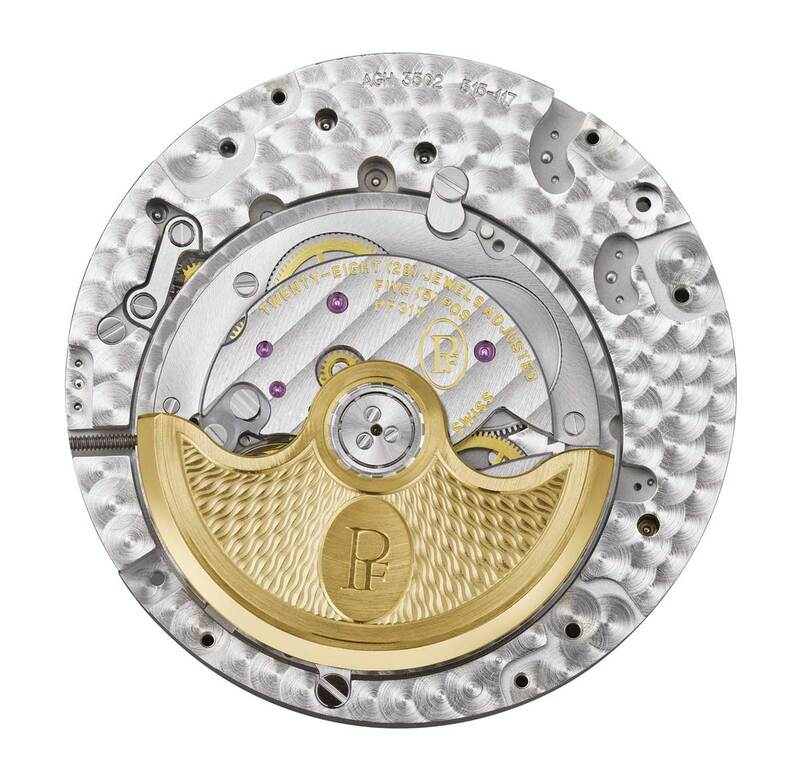 Visible through a sapphire crystal, the movement is entirely decorated with Côtes de Genève and circular-grained according to the highest Haute Horlogerie standards. 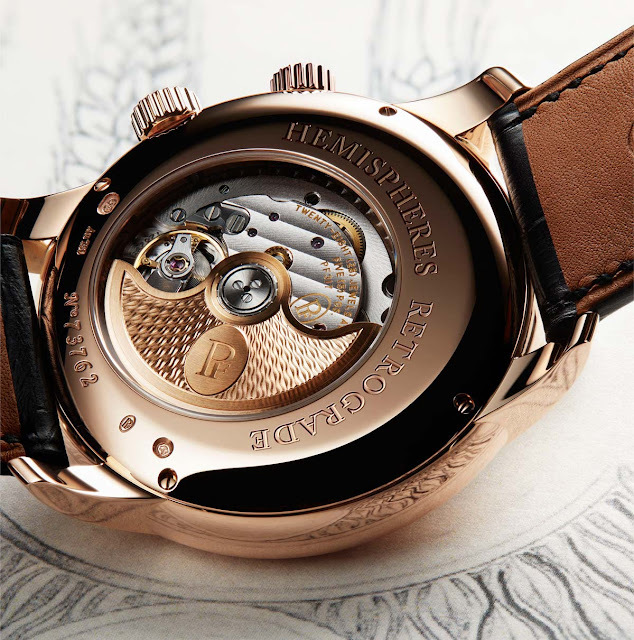 It The oscillating weight is crafted from 22 ct rose gold and enhanced by a fine guilloché motif.